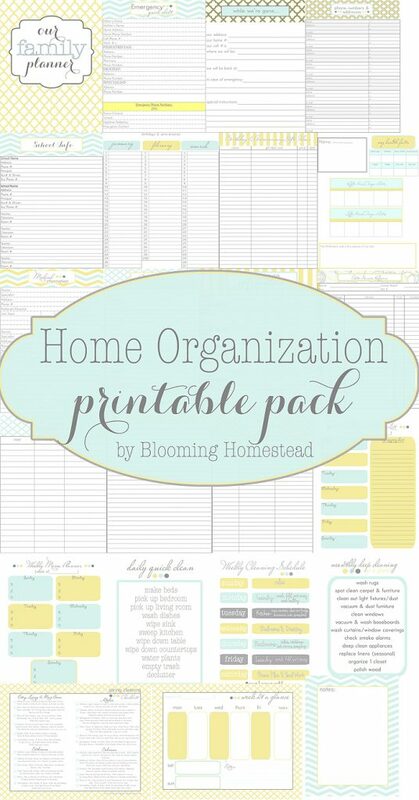 Are you looking to add some organization and order in your life? 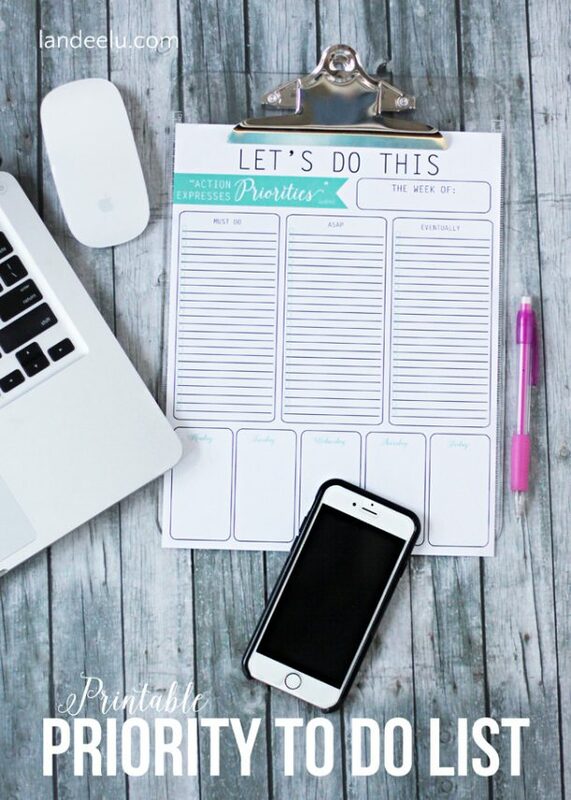 If you need to get organized in your daily/weekly/monthly planning, your goals, your finances, your eating, your exercise, your meal-planning and more – there is a free printable for you. As much as I love Christmas (which, to me, is just about the only redeemable quality about the god-awful season of winter), by the time January rolls around, I’m crawling of out my skin to get the decorations put away, the house cleaned, and my life organized with some semblance of normalcy. I’ve always been a fan of routine, and I’m a sucker for any system that promises to keep life organized. And if it’s pretty, too? Well, I’m sold. If you add in the motivation of a new year and a new goals, the restart of life in January might be the second redeemable quality of winter. If you are like me and looking to get your life organized again, I’ve got just the tools for you. 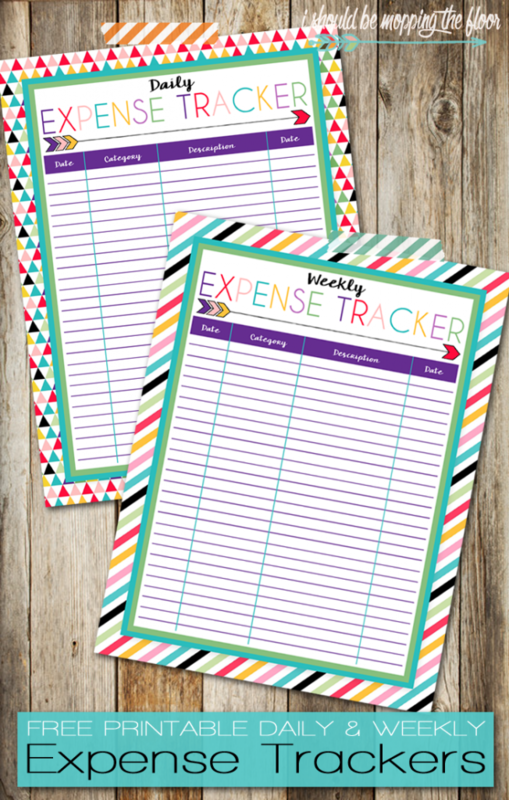 These free printables are exactly the thing to help get you back on the organizational track again. 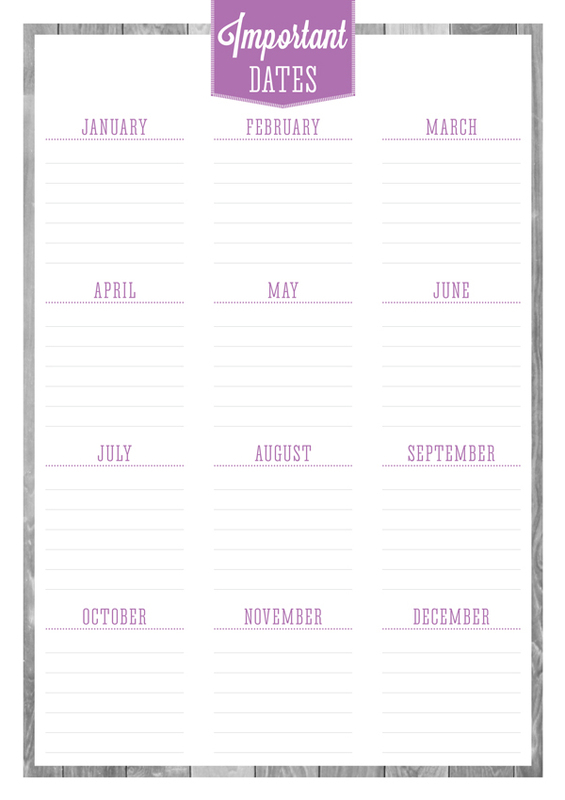 If you need to get organized in your daily/weekly/monthly planning, your goals, your finances, your eating, your exercise, your meal-planning – there is a free printable for you. Take a look below and grab what you need to life in order again! I’m right there with you! This one is great to do at the beginning of the month. It helps you to see the big picture of what is coming in the next 30 days and helps prepare your mind for what’s ahead! 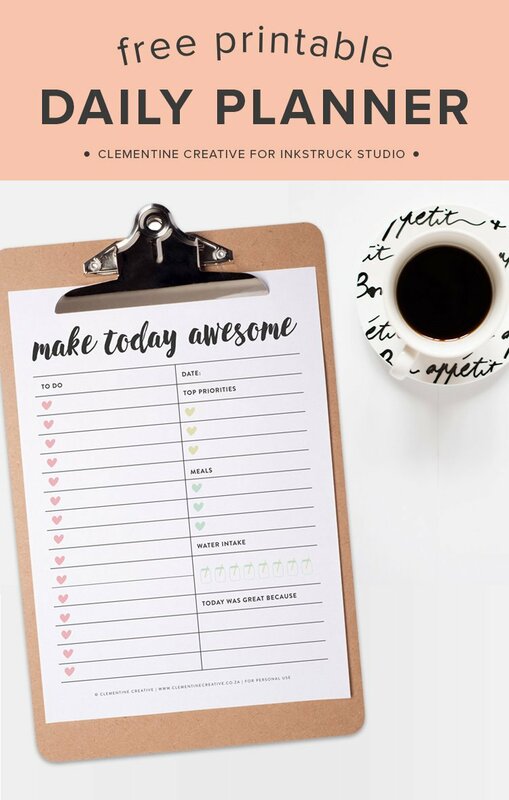 Isn’t this to-do list so pretty?!? This is a daily to-do list, and it’s a huge improvement from the list that I usually scratch on the back of junk mail. If it’s pretty, I definitely think I have a better chance of getting it done! And who doesn’t love crossing things off a list?!? 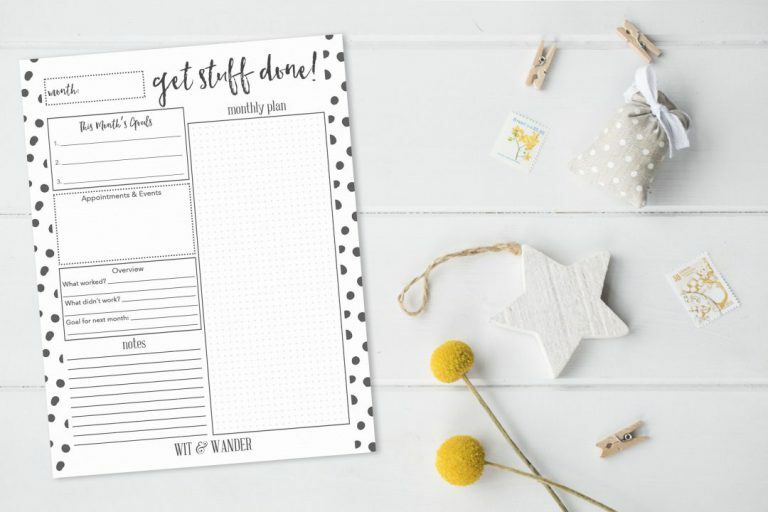 If you are looking for a super-duper life organizational binder – over 30 printables in one place and all in coordinating designs, this is the one for you! If you have a busy, active family life and are struggling to keep track of all the important information, comings, and goings – go grab this one now! It comes in different colors as well as with instruction for how to set it up and use it! I like this list a lot because I get side-tracked all. day. long. Using this list allows you to assign priorities to your tasks. That way, you can focus on what really has to happen that week. And, if you have a spare few minutes (rare, I know), you can tackle an important task without wasting time thinking about what needs to be done most. In the past year, partly by necessity, I have become a HUGE fan of purging. It’s not just the neatness I love, but how it gets rid of the mental burden of STUFF. 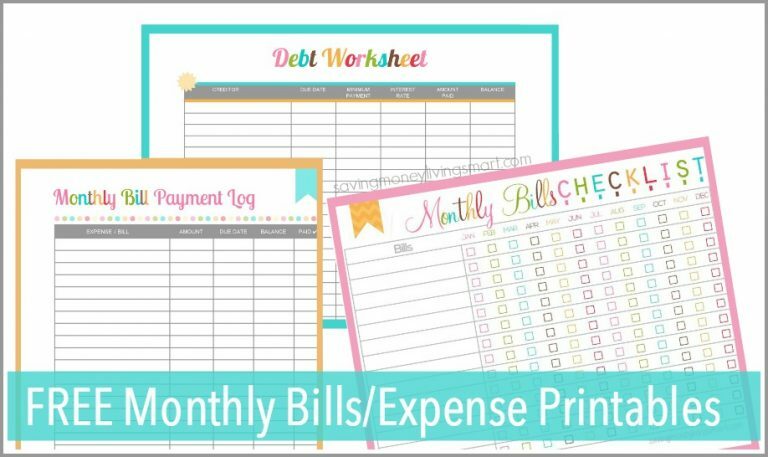 If you’ve been wanting to purge but don’t know where to start, this printable breaks it down month by month. Perfection. 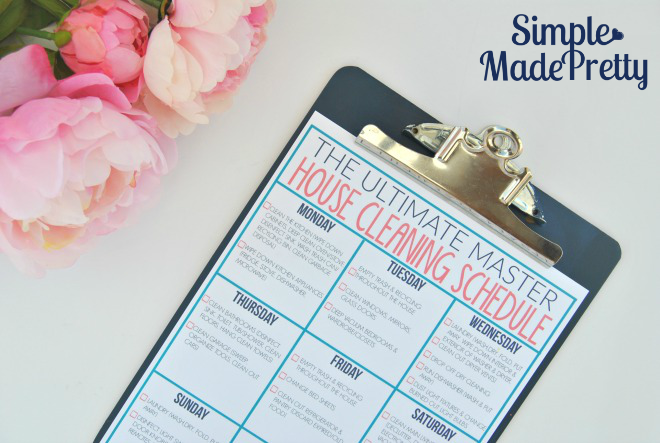 As someone who can’t always get her cleanliness act together, I love this list. I don’t have to reinvent the wheel and figure out when to clean what. Print this one out, put it on the fridge, and it almost does the work for you. This. Planner. Is. Stunning. It is so hard for me to believe that this blogger offers it for free. It is gorgeous, functional, thorough and inspiring. If you need a new planner this year, skip buying one and just print this one out. Seriously. You won’t be disappointed. This is a simple but effective printable for a-week-at-a-glance task list. This is perfect for when you sit down on Sunday night and plan out your week. Plug in all the things that need to get done on any given day. It comes in 6 different styles – so pick which works best for you! If meal planning has been a struggle for you and you don’t have a system down yet, this is a super-pretty, super-efficient meal-planning kit! 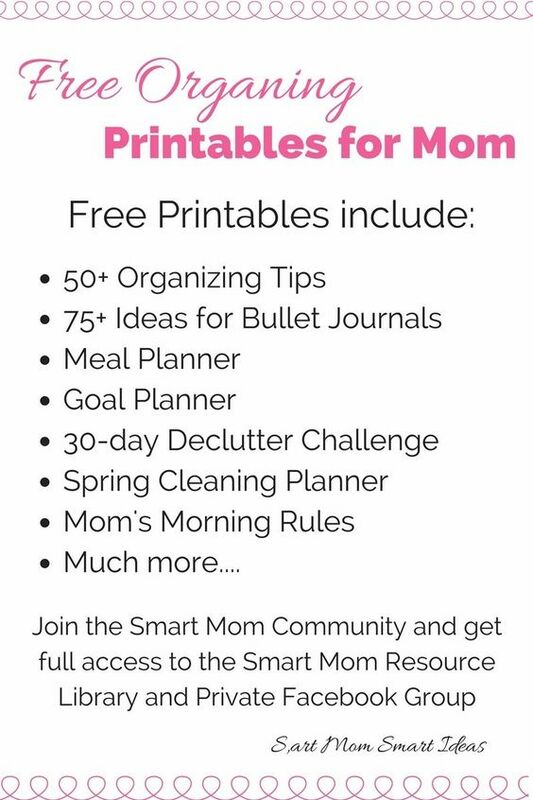 It comes with a weekly and monthly planner, shopping lists, recipe sheets and more! 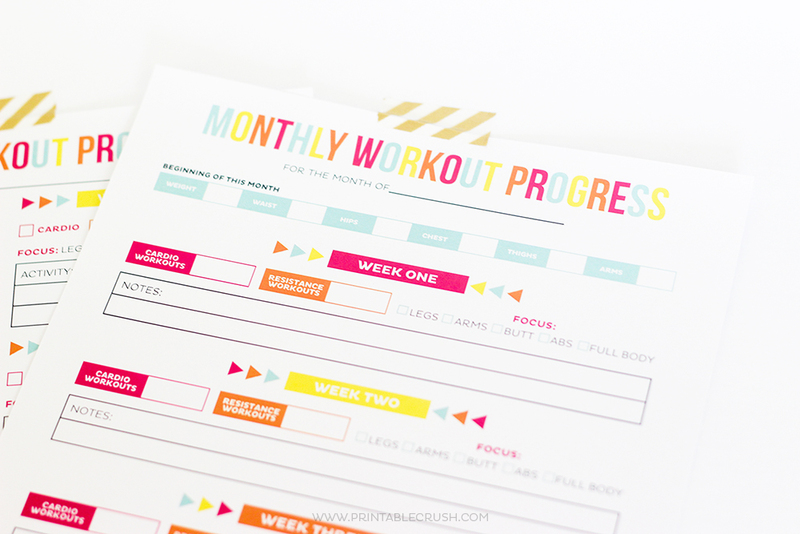 This printable is a step-by-step instruction worksheet to help you accomplish your goals. 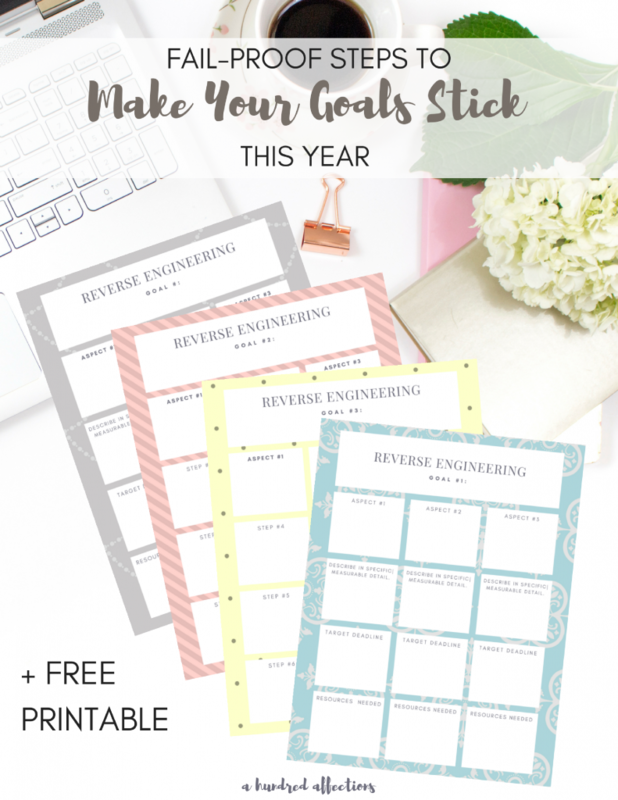 Using the concept of reverse engineering, this printable will help you see the big picture of your goal and then work backwards to see what steps you need to take to get there! Can I just tell you how much time I waste because I can’t remember passwords and constantly have to reset them? If you are like me, grab this one! In one easy click, problem solved! Money seems to be an issue that so many of us struggle with, for a variety of reasons. 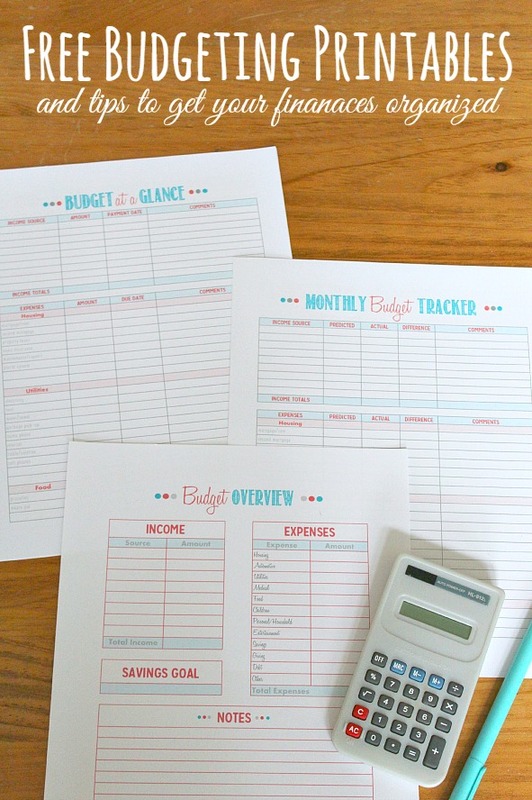 If you are serious about getting your finances in order, a budget is a must. These are great sheets to help get you started! Fees from late bill payments are such a frustrating reality. However, with this bill tracker, you can stay organized and keep track of amounts, due dates and payments. Such a helpful tool for financial organization! Every wonder where in the world all your money goes?!? Yeah, me too. Knowing what, where and how much you spend is key to cutting costs and saving money. This printable will help you do just that. Do you have so much going on in your mind that you forget birthdays? Anniversaries? Important appointments and engagements? Filling this out and hanging it up will do wonders to solve that problem. The perfect brain-dump. If being more intentional with exercise is one of your goals, this is a great printable to grab. This is super-thorough and will really help you keep track of your workout schedule as well as your progress. Similar to spending money recklessly, sometimes we spend calories recklessly and wonder how we ate so much during any given day. 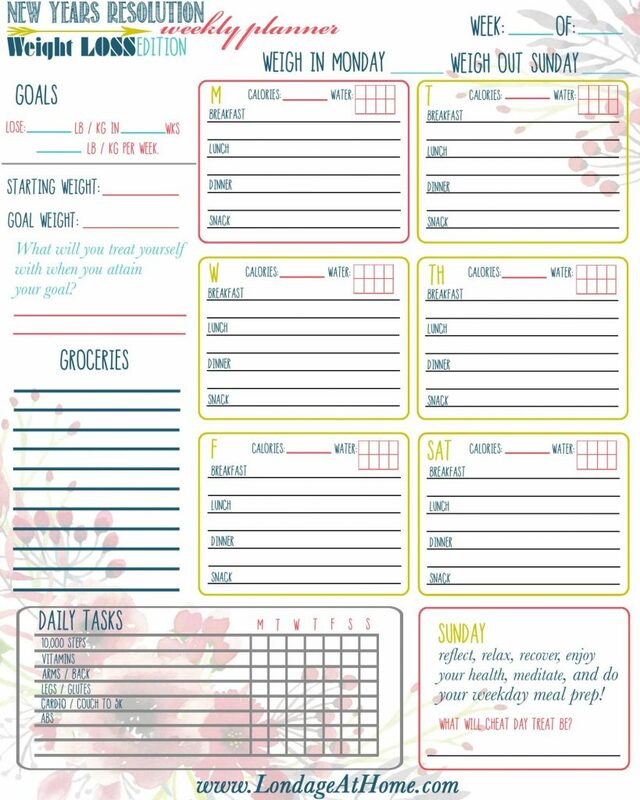 This is a fantastic printable to help you monitor your eating so you spend your calories wisely! This is another one of those areas where I waste a lot of time – looking up important numbers and information over and over again. If they were all in just one spot? Huge time-saver! Well, consider it done! I love, love, love the idea behind this tracker. 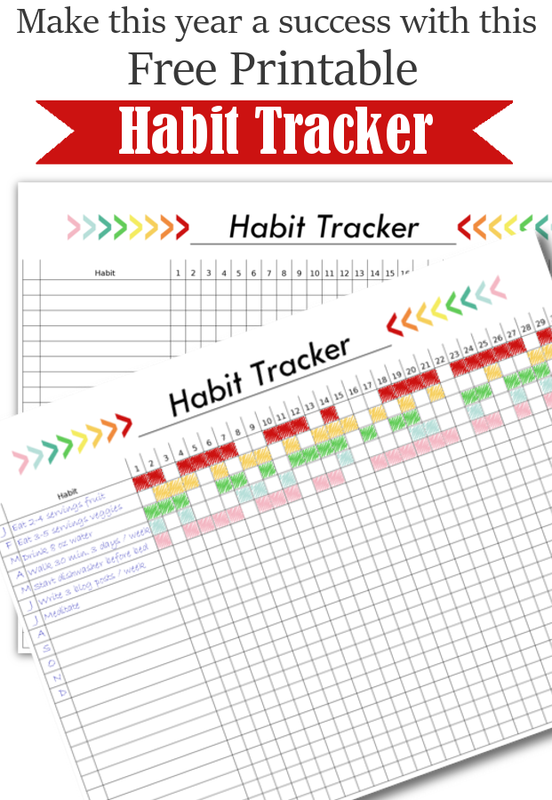 When we are trying to make changes and implement new habits, it helps so much to have some accountability, even if it’s just checking off a list! This is a great way to monitor how you are doing with your goals and seeing if you are actually following through! If you are tired of your kids fighting about chores and you are looking for an easy, efficient way to implement a chore system, take a look at this one. 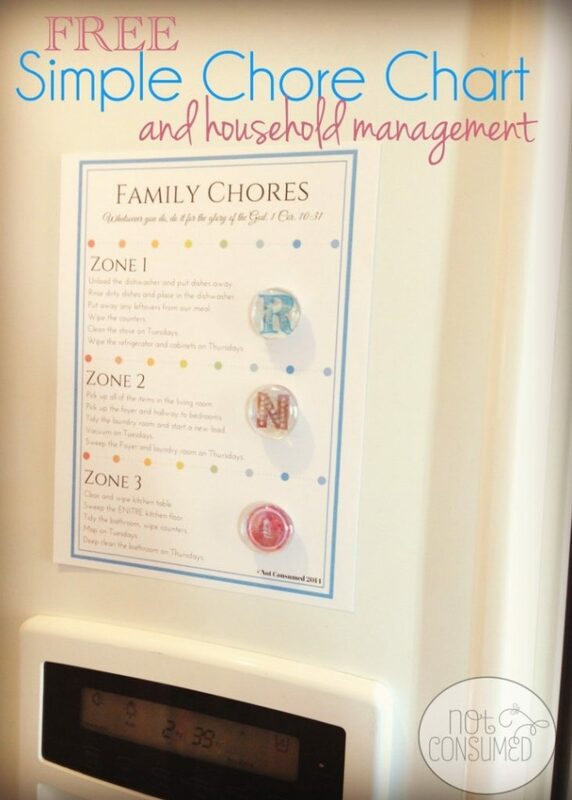 It’s as simple as printing out a chore list and swapping a magnet designated for each child. Genius! Lots of tips for making this work included in the blog post as well! If I could organize my life in these areas this year? Oh my goodness. So. Much. Progress. 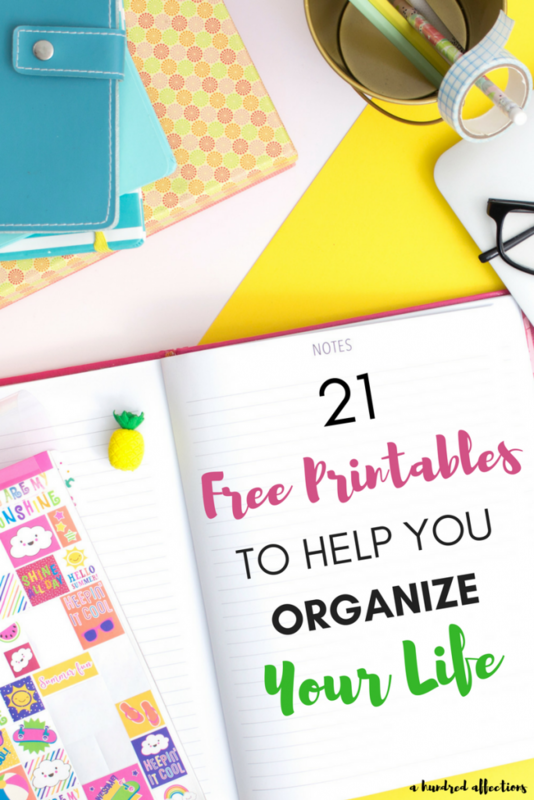 These free printables are so helpful, and organizing your life (and mine) is absolutely doable! 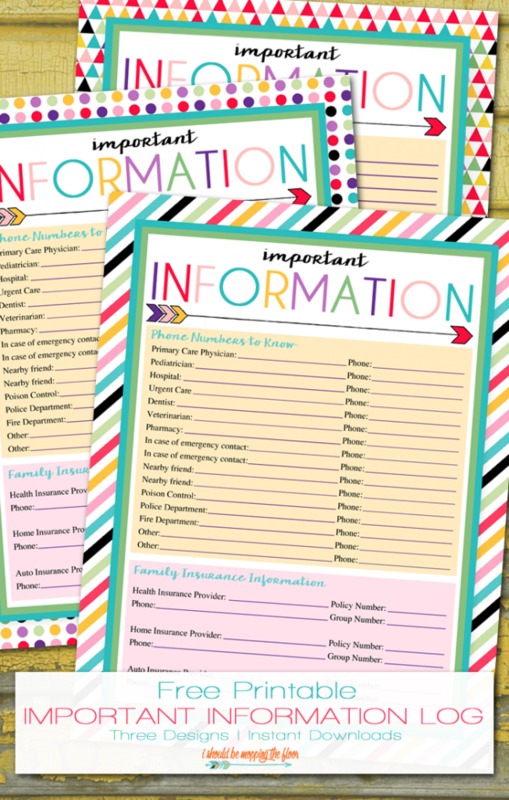 Which printables would be the most helpful for you? Where do you need the most help organizing? Let me know! We’re all in this together! Awesome, Marva! I hope these will give some help! I have a few ideas swirling in my head about how to use them! Thanks for coming by! Thank you for this! I especially loved #5. Pinned it! 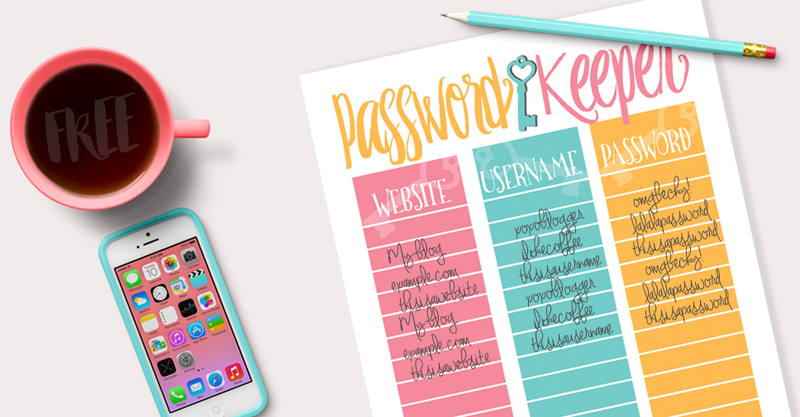 Thanks for sharing this awesome list of printables! Wow! Thanks so much, Michele! So glad you liked it - and double thanks for featuring it! Heading over there now for this week's link-up!